I love international travel and seeing the world, but I also love exploring my own wonderful country. The United States is a beautiful and diverse land from sea to shining sea and I’ve been fortunate to have been to about 35 of our 50 states. I’ve driven cross-country several times in my life and there’s nothing like a good old-fashioned road trip to explore this vast land. 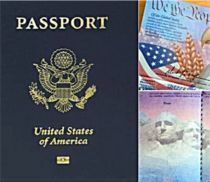 If I had to chose just five of the most memorable moments in travel in my U.S. travels, it’s not easy to do, but if I had to choose, I’ve put together my list and if these places are not on your United States travel bucket list, they should be. 1. Walk Across the Brooklyn Bridge (New York, NY). I lived in New York City for eight years but the one thing I never did during my time in the city was take a walk across the Brooklyn Bridge. When I lived in Carroll Gardens (a neighborhood in Brooklyn), my roommate, Susan, worked at the Manhattan D.A.’s office downtown during the same time John F. Kennedy, Jr. was an Assistant District Attorney. She used to walk across the Brooklyn Bridge every day to go to work and it would take her just a little over 30 minutes. 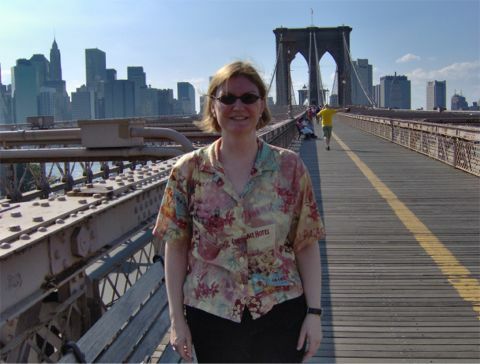 When I was back to NYC on a visit several years ago, I looked at the list of things I had never done in New York and put walking across the Brooklyn Bridge at the top of the list. I was staying in Manhattan so I took the subway to the first stop in Brooklyn since I think its more fun to walk toward Manhattan for the best “money shots” of the New York skyline. Although it will only take about a half an hour to walk across the Brooklyn Bridge, I recommend you make a day of it. Start in Brooklyn Heights on a weekend for brunch. Take a stroll on the Brooklyn Heights Promenade first, then walk across the Brooklyn Bridge and take plenty of photos. Also, don’t forget to read the informative plaques that give detailed information on the history of the bridge as well as look at sights. Once you get across the bridge into lower Manhattan, explore the downtown area and then the perfect end to a perfect day will be dinner in Chinatown or Little Italy. Bring your walking shoes. I recommend this for first time visitors and people who go to New York a lot. If you’ve never done this before, you’ll wonder why you didn’t do it sooner – I sure wish I had. 2. 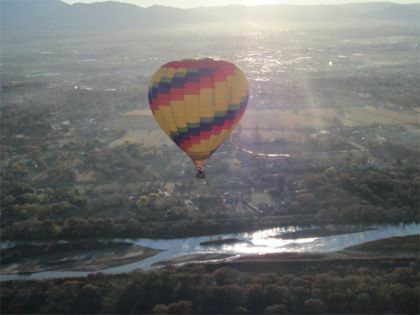 Ride a Hot Air Balloon Over the Rio Grande (Albuquerque, NM). Albuquerque is synonymous with hot air balloon rides and my brother, Mike, was totally on board with the idea and generously offered to pay for the voyage. So we set the wheels in motion to research the best company for the adventure. Lifting off was exhilarating as we gently drifted up, up and away. Within moments we were floating a couple thousand feet above the world below and taking in breathtaking views of the majestic Sandia Mountains and Rio Grande Valley. During a hot air balloon ride flight, you will probably fly anywhere from ground level to a couple thousand feet above. Also, depending on the weather, some pilots in Albuquerque have been known to skim the surface of the Rio Grande with the bottom of the basket of the balloon. 3. Stand at the Edge of the Grand Canyon (Grand Canyon, AZ). I love America’s southwest and Arizona is one of my favorite states. Although I’ve been to Arizona numerous times since my sister lives there and have flown over the Grand Canyon hundreds of times from 35,000 feet, I’ve actually only been to the rim of the Grand Canyon once. It was breathtakingly spectacular and something I dream of doing again in the near future. My fondest memory was being there around sunset with my friend, Victoria, and we ate pine nuts from a pine tree at the edge of the canyon. 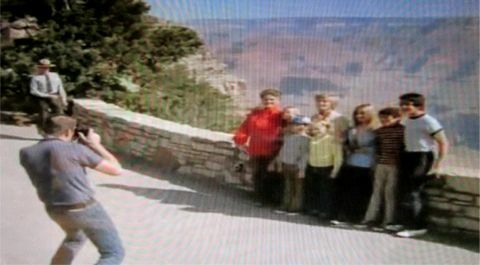 Now if you want to take a trip to retro TV-Land, you may remember the episodes of the Brady Bunch shot at the Grand Canyon. I found them on YouTube but can't embed them so click on the photo above and you'll see the clip where they enter Grand Canyon National Park. The Grand Canyon is considered one of the Seven Natural Wonders of the World. It is 277 miles long and up to 18 miles wide in places and is about a mile deep. Grand Canyon National Park is one of the world’s premier natural attractions, attracting about five million visitors per year. Overall, 83% were from the United States. Aside from standing at the edge of the Grand Canyon and enjoying the view, there are many other activities including hiking to the bottom of the canyon, taking a mule ride to the bottom or the canyon and camping, and even helicopter and plane rides. When I was there, we flew over the canyon in a small plane and if you do that, don’t forget your motion sickness medicine as it was a most “unsettling experience” even with those magnificent views. There are a few restaurants on the rim to enjoy dining while taking in the views or bring your own picnic. Also, if you want to visit, plan in advance for the hotel rooms and mule ride reservations (as much as a year ahead of your planned visit) since this is the only way to guarantee you’ll get the most out of your Grand Canyon experience. 4. Go Wine Tasting in California Wine Country (Southern/Northern, CA). Forget France. The U.S. has one of the best wine growing regions in the world and that’s not just my opinion, but the view of some of the top wine experts around the globe. 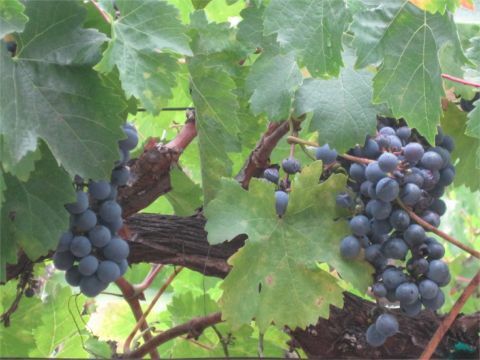 Contrary to popular belief, Napa and Sonoma are not the “only games in town” when it comes to California wine country as the wine growing regions reach as far south as the San Diego area in Temecula. Continue up the coast to Malibu and Ventura and you’ll be introduced to some amazing wines right in the backyard of Los Angeles. Who knew? I didn’t until about six months ago when I discovered Malibu Family Wines and Rosenthal Estate Wines. Your next stop will be north of Santa Barbara (Santa Ynez, Paso Robles). This is where you can do the “Sideways” wine tour and visit the winery locations featured in the movie although they’re not necessarily the best places for wine tasting. One “Sideways” discovery for me was “The Hitching Post” restaurant where Paul Giamani’s character was a regular for dinner. This restaurant is superb. After you wine taste in this area, you can head up the Pacific Coast Highway due north to Napa and Sonoma (and don’t forget the Russian River Valley.) I bet you didn’t know that California had so many wine regions. 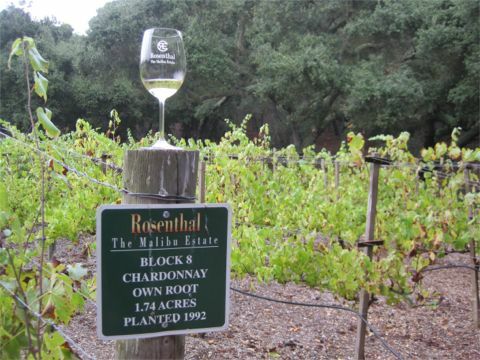 The state of California is more than 75% the size of the country of France and if you ever saw the movie Bottle Shock, you’ll see how this sunny state has become a big contender when it comes to prestigious wines. 5. Drive the Road to Hana (Maui, HI). 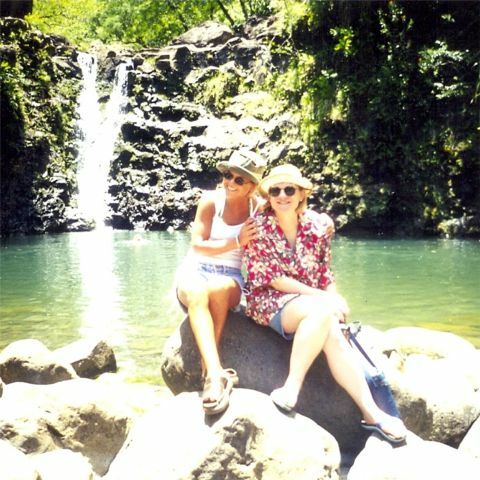 One of my all time favorite road trips ever was the day my niece, Jessica, and I drove the Road to Hana on the island of Maui in Hawaii. I’ll never forget that the guidebook said, “Remember, Hana is not a destination, it’s a journey.” Hana is located only 52 miles from Kahului, but a typical trip to Hana takes at least three hours, as the road is very winding with approximately 620 curves and has over 59 bridges, 46 of which have only one-lane. This amazing road trip is an enchanting journey that winds through a lush, tropical rain forest laced with tumbling waterfalls, black sand beaches, scenic lava cliffs, fresh fruit stands, and tropical hillsides. Jessica and I stopped at least ten times including one stop to picnic on that black sand beach. We took photos by waterfalls, delicious fruit stands and even toured The Garden of Eden, a botanical gardens arboretum with beautiful tropical flower gardens, exotic plants, nature trails and wildlife. 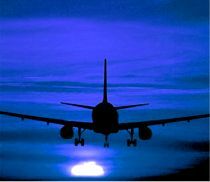 Name Your Adventure: What Are Your Top Travel Destinations? Where have you been that's a must for everyone's travel bucket list? 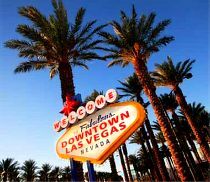 It's difficult narrowing down a list to a Top Five since there are so many wonderful United States Vacation Destinations to explore. Get your maps or program your GPS and start touring this beautiful country.